The S&P CoreLogic Case-Shiller U.S. National Home Price NSA Index reported a 6.1% annual gain in August, up from 5.9% in the previous month. Before seasonal adjustment, the National Index posted a month-over-month gain of 0.5% in August. Consumer confidence increased to its highest level in almost 17 years October after remaining relatively flat in September. Consumers’ assessment of current conditions improved, boosted by the job market which had not received such favorable ratings since the summer of 2001. Compensation costs for civilian workers increased 0.7 percent, seasonally adjusted, for the 3-month period ending in September 2017. Wages and salaries increased 0.7 percent, and benefits increased 0.8 percent. Costs increased 2.5 percent for the 12-month period ending in September 2017. The State Street Global Investor Confidence hits 6-month low in October, declining by 7.5 points to 96.9. Confidence in all three regions drops amidst the increasing potential for a new Fed Chair. The MNI Chicago Business Barometer rose to 66.2 in October, up from 65.2 in September, hitting the highest level since March 2011. The business combination will create the nation's largest homebuilder with the last twelve months of revenues in excess of $17 billion and equity market capitalization, based on current market prices, of approximately $18 billion. The combined company will control approximately 240,000 homesites and will have approximately 1,300 active communities in 49 markets across 21 states, where approximately 50% of the U.S. population currently lives. It is currently anticipated that the transaction will generate annual cost savings and synergies of approximately $250 million, with approximately $75 million achieved in fiscal year 2018. These synergies are expected to be achieved through direct cost savings, reduced overhead costs and the elimination of duplicate public company expenses. Additional savings are also expected through production efficiencies, technology initiatives, and the roll out of Lennar's digital marketing and dynamic pricing programs. The PCE price index increased 0.4 percent in September, and was up 1.6 percent year-on-year. Excluding food and energy, the PCE price index increased 0.1 percent, and was up 1.3 percent year-on-year. Both personal income and disposable income increased 0.4 percent in September, while personal consumption expenditures (PCE) increased by a much sharper 1.0 percent. The August and September estimates of personal income and outlays reflect the effects of Hurricanes Harvey and Irma. Partly as a result, the personal savings rate slipped to 3.1 percent, down from 3.6 percent in August and the lowest rate since December 2007, at the beginning of the Great Recession. Consumer sentiment slipped ever so slightly in late October, despite remaining at its highest monthly level since the start of 2004. This is only the second time the Sentiment Index has been above 100.0 since the end of the record 1990's expansion, and its average during the first ten months of 2017 (96.7) has been the highest since 2000 (108.5). second quarter, real GDP increased 3.1 percent. In the week ending October 21, initial unemployment claims were 233,000, an increase of 10,000 from the previous week's revised level. The 4-week moving average was 239,500, a decrease of 9,000 from the previous week's revised average. The Market Composite Index decreased 4.6 percent on a seasonally adjusted basis from one week earlier, with purchase loans falling 6 percent percent and refinances falling 3 percent. The average contract interest rate for 30-year fixed-rate mortgages increased to 4.18 percent from 4.14 percent. Americans' confidence held steady last week, remaining near the highest level of the expansion, as faith in the buying climate improved while views on the economy deteriorated slightly. The Pending Home Sales Index was at 106.0 in September, unchanged from August. The index is now at its lowest reading since January 2015 (104.7), is 3.5 percent below a year ago, and has fallen on an annual basis in five of the past six months. Durable-goods orders rose 2.2 percent in September; excluding transportation orders increased 0.7 percent. American manufacturers have seen a resurgence in 2017, aided by strong demand at home and the best global economy in years. The FHFA House Price Index (HPI) reported a 0.7 percent increase in U.S. house prices in August from the previous month. From August 2016 to August 2017, house prices were up 6.6 percent. Sales of new single-family houses in September 2017 were at a seasonally adjusted annual rate of 667,000, according to estimates released jointly today by the U.S. Census Bureau and the Department of Housing and Urban Development. This is 18.9 percent above the revised August rate of 561,000 and is 17.0 percent above the September 2016 estimate of 570,000. The seasonally adjusted IHS Markit Flash U.S. Composite PMI Output Index rose to 55.7 in October, from 54.8 in September. This October data indicated a robust and accelerated expansion of U.S. private sector business activity. The upturn was supported by the fastest rise in manufacturing production for eight months, alongside another robust increase in service sector output. Led by improvements in production-related indicators, the Chicago Fed National Activity Index (CFNAI) moved up to +0.17 in September from -0.37 in August. The index's three-month moving average, CFNAI-MA3,was unchanged at -0.16 in September. After three straight monthly declines, existing-home sales slightly reversed course in September and rose by 0.7 percent, but ongoing supply shortages and recent hurricanes muted overall activity and caused sales to fall back on an annual basis, falling by 1.5 percent. It's less than one week away! 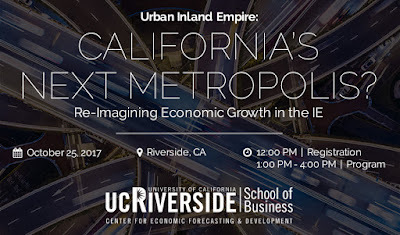 The Housing Chronicles Blog and MetroIntelligence are pleased to partner as a sponsor with the UC Riverside School of Business' Center for Economic Forecasting & Development for their next economic conference on October 25, 2017 in Riverside, CA. Entitled "Urban Inland Empire: California's Next Metropolis? Re-Imagining Economic Growth in the IE," this afternoon-long program will bring together economists, elected officials and academics. Click here to register and save $25! You can also key in the code mrea17 at check-out to receive this discount. The Inland Empire is different from similarly sized markets like Atlanta and Houston in a critical way. It has no central downtown or 'urban core' where jobs are densely located. What does this dynamic mean for business creation and economic development in the region? 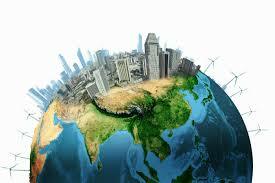 Is the creation of an urban core the way to develop and grow the local economy? Would an urban core appeal more to new businesses and do more to expand current ones? Join some of the state's leading experts for a new economic forecast and a data-driven discussion about the region's urban future. In the week ending October 14, initial unemployment claims were 222,000, a decrease of 22,000 from the previous week's revised level. This is the lowest level for initial claims since March 31, 1973 when it was 222,000. The 4-week moving average was 248,250, a decrease of 9,500 from the previous week's revised average. The Market Composite Index increased 3.6 percent on a seasonally adjusted basis from one week earlier, with purchase loans up 4 percent and refinances up 3 percent. 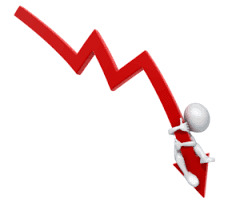 The average contract interest rate for 30-year fixed-rate mortgages decreased to 4.14 percent. The index for current manufacturing activity in the region increased 4 points to a reading of 27.9 and is now at its highest reading since May. The indexes assessing the six-month outlook suggest that firms remained optimistic about future growth. The headline general business conditions index climbed six points to 30.2, its highest level in three years.Indexes assessing the six-month outlook suggested that firms remained optimistic about future conditions. Reports from all 12 Federal Reserve Districts indicated that economic activity increased in September through early October, with the pace of growth split between modest and moderate. Residential construction continued to increase, and growth in commercial construction was up slightly on balance. Low home inventory levels continued to constrain residential sales in many areas, while nonresidential real estate activity increased slightly overall. The US LEI declined slightly in September for the first time in the last twelve months, partly a result of the temporary impact of the recent hurricanes. The source of weakness was concentrated in labor markets and residential construction, while the majority of the LEI components continued to contribute positively. Privately-owned housing units authorized by building permits in September were at a seasonally adjusted annual rate of 1,215,000. This is 4.5 percent below the revised August rate of 1,272,000 (down 5.6 percent in the South) and is 4.3 percent below the September 2016 rate of 1,270,000 (down 5.3 percent in the South). Privately-owned housing starts in September were at a seasonally adjusted annual rate of 1,127,000. This is 4.7 percent below the revised August estimate of 1,183,000, but is 6.1 percent above the September 2016 rate of 1,062,000. This was the lowest level since September 2016 and marked the third monthly decline in starts. According to CoreLogic, 4.6 percent of mortgages were in some stage of delinquency nationally (30 days or more past due including those in foreclosure) in July 2017. This represents a 0.9 percentage point year-over-year decline in the overall delinquency rate compared with July 2016 when it was 5.5 percent. As of July 2017, the foreclosure inventory rate, which measures the share of mortgages in some stage of the foreclosure process, was 0.7 percent, down from 0.9 percent in July 2016 and the lowest since the rate was also 0.7 percent in July 2007. September industrial production in the U.S. rebounded by 0.3 percent in September after two straight declines. Capacity utilization rose to 76% from 75.8% but remained below summer levels. Builder confidence in the market for newly-built single-family homes rose four points to a level of 68 in October on the National Association of Home Builders/Wells Fargo Housing Market Index (HMI). This was the highest reading since May. Business activity grew at a robust pace in New York State, according to firms responding to the October 2017 Empire State Manufacturing Survey. The headline general business conditions index climbed six points to 30.2, its highest level in three years. U.S. business inventories recorded their biggest increase in nine months in August, suggesting that inventory investment could boost economic growth in the third quarter. Consumer sentiment surged in early October, reaching its highest level since the start of 2004. The October gain was broadly shared, occurring among all age and income subgroups and across all partisan viewpoints. The data indicate a robust outlook for consumer spending that extends the current expansion to at least mid 2018, which would mark the 2nd longest expansion since the mid 1800s. September retail sales jumped by 1.6 percent, or the most in more than two years as motor vehicles lost to hurricanes were quickly replaced and higher prices lifted receipts at gasoline stations. The Consumer Price Index for All Urban Consumers (CPI-U) rose 0.5 percent in September on a seasonally adjusted basis, the U.S. Bureau of Labor Statistics reported today. Over the last 12 months, the all items index rose 2.2 percent. It’s easy to state the importance of the construction industry, as it provides the foundation which makes most economic trade even possible. Globally, this industry behemoth of about $10 trillion accounts for 13 percent of worldwide GDP, and employs seven percent of its workforce. As countries continue to urbanize, the further development of megacities (and maintenance of existing buildings) is expected to boost this total spending to $15 trillion annually by 2025. Yet according to a recent study done by the McKinsey Global Institute, due to poor productivity gains relative to other industries, there is still $1.6 trillion left on the table each year, one-third of which is in the U.S. If captured, this productivity loss is the equivalent of meeting half of the planet’s infrastructure needs, or boosting global GDP by two percent per year. While the productivity challenge is global in nature, it’s even worse in the United States. While most economic sectors in the country improved their productivity by 10 to 15 times since the 1950s, McKinsey’s analysis shows construction labor productivity remaining stuck of that in the 1930s, and has steadily declined since the 1960s. Given that the construction sector’s share of U.S. GDP ranks close to both wholesale trade and information services, any productivity gains could have an outsized impact on the overall economy. To be sure, not all construction projects are the same, and greater efficiencies are much easier for larger industrial and infrastructure projects than they are for housing developments or subcontractors. Yet even for infill builders in which obtaining permits often requires making unique adjustments to garner community support, productivity gains are still possible. 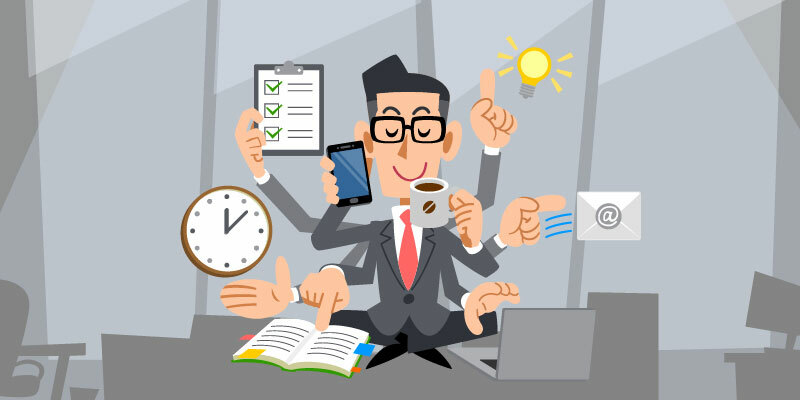 McKinsey identifies 10 root causes of productivity misses, including external forces such as regulation and corruption, industry dynamics including high fragmentation and misaligned incentives, and operational factors including inadequate design processes, poor project management, under-skilled labor and under-investments in digitization, innovation and capital. From the perspective of the builder or the subcontractor, it certainly makes business sense to be planning for the next downturn, and it’s much cheaper and easier to issue layoff notices than mothball capital-intensive investments in technology and machinery. According to the NAHB’s 2016 Cost of Doing Business Survey, responding home builders reported an average of $16.2 million in revenue and net profit margins of $1.0 million (6.4 percent) in fiscal year 2014, so expensive investments are often unrealistic. But it’s also that industry-wide protective mindset which has contributed to annual productivity gains of just 1.0 percent over the past 20 years, versus 2.8 percent for the global economy and 3.6 percent in manufacturing. So what are the solutions? McKinsey has identified seven distinct areas which could benefit from embracing various best practices, which combined could increase productivity by 48 to 60 percent while also saving costs of 27 to 38 percent. These include (1) Reshaping regulations (something now being attempted in California to boost more housing production) and increasing transparency; (2) Awarding contracts more collaboratively; (3) Rethinking design and engineering processes while encouraging more off-site manufacturing; (4) Centralizing and digitizing supply chains and purchasing departments; (5) Improving on-site construction by moving from process-based to more holistic operating systems; (6) Infusing digital technology, new materials and appropriate automation into the process; and (7) Retraining a workforce that is aging, depends largely on immigrant labor and suffers from both seasonality and cyclicality. Here in the U.S., larger players – especially those in the public sector -- will generally be the first to strategically decide what’s best for them, but everyone should be ready for four types of disruption: (1) Rising requirements from clients in terms of volume, time, cost, quality and sustainability; (2) More industry consolidation, greater transparency and disruptive new competitors; (3) More new technologies, materials and processes; and (4) Rising wages and potential limits on immigrant labor. As these trends roll out and eventually put pressure on the building industry, there are some reasonable steps suggested to make it easier. 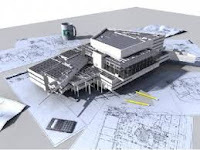 These include a greater use of digital Building Information Modeling (BIM) to enhance transparency and collaboration; reshaping regulations in support of higher productivity; more transparency on costs across the industry; publishing performance metrics on contractors; and considering regular skills development of the existing labor force versus the reliance on low-cost, transient immigrants. The Harvard Center for Joint Housing Studies currently projects 1.36 million new U.S. households per year between 2015 and 2025. While the industry is projected to approach that level of starts by 2018, in August of 2017 the annualized starts rate was 1.18 million, leaving a theoretical shortfall of 180,000. In the week ending October 7, initial unemployment claims were 243,000, a decrease of 15,000 from the previous week's revised level. The 4-week moving average was 257,500, a decrease of 9,500 from the previous week's revised average. Federal Reserve officials see the economy expanding at a steady clip and indicate that an interest rate hike later this year is a near lock, despite some divisions over where inflation is headed. The Producer Price Index for final demand advanced 0.4 percent in September. On an unadjusted basis, the final demand index increased 2.6 percent for the 12 months ended in September, the largest rise since an advance of 2.8 percent for the 12 months ended February 2012. The Fannie Mae Home Purchase Sentiment Index® (HPSI) increased 0.3 points in September to 88.3, matching the all-time high set in June. Renter respondents, in particular, buoyed the net good time to buy component, showing a substantial upward change in optimism in September. It's only 2 weeks away! The Inland Empire is different from similarly sized markets like Atlanta and Houston in a critical way: It has no central downtown or 'urban core' where jobs are densely located. The number of job openings dipped 0.9 percent from July to 6.1 million on the last business day of August. Over the month, hires and separations fell by 1.6 and 2.5 percent to 5.4 million and 5.2 million, respectively. The Market Composite Index decreased 2.1 percent on a seasonally adjusted basis from one week earlier, with purchase loans down 0.1 percent and refinances falling 4.0 percent. The average contract interest rate for 30-year fixed-rate mortgages increased to 4.16 percent. Wholesale inventories increased a seasonally adjusted 0.9% in August from the prior month, the fastest pace since November 2016. Sales in August were up 1.7% from the revised July level. The unemployment rate declined to 4.2 percent in September, and total nonfarm payroll employment fell by 33,000 jobs. A sharp employment decline in food services and drinking places and below-trend growth in some other industries likely reflected the impact of Hurricanes Irma and Harvey. Total consumer credit slowed to a gain of $13.1 billion, after a $17.7 billion jump in the prior month, Credit growth was up at a 4.2% annual pace in the month, down from a 5.7% pace in July. For all of 2016, consumer borrowing rose at a 6.7% rate. In the week ending September 30, initial unemployment claims were 260,000, a decrease of 12,000 from the previous week's unrevised level of 272,000. The 4-week moving average was 268,250, a decrease of 9,500 from the previous week's unrevised average of 277,750. Hurricanes Harvey, Irma, and Maria impacted this week's claims. The Market Composite Index decreased 0.4 percent on a seasonally adjusted basis from one week earlier, with purchase loans up 1 percent and refinances down 2 percent. The average contract interest rate for 30-year fixed-rate mortgages increased to 4.12 percent. The GDPNow model forecast for real GDP growth (seasonally adjusted annual rate) in the third quarter of 2017 is 2.8 percent on October 5, up from 2.7 percent on October 2. New orders for U.S.-made goods rose 1.2 percent in August and orders for core capital goods were stronger than previously reported, suggesting robust business spending could help offset some of the economic drag of Hurricanes Harvey and Irma. Job cuts announced by U.S.-based employers fell 4.4 percent in August from July, and are also down by 27 percent year-on-year. So far this year, planned job cuts are down 26.2 percent from the same period of 2016. The NMI® registered 59.8 percent, which is 4.5 percentage points higher than the August reading of 55.3 percent. This is the highest reading since August 2005 when the index registered 61.3 percent. The non-manufacturing sector has reflected strong growth in the month of September despite the impact on the supply chain from the recent hurricanes. The September PMI® registered 60.8 percent, an increase of 2 percentage points from the August reading of 58.8 percent. Comments from the panel reflect expanding business conditions, with new orders, production, employment, order backlogs and export orders all growing in September. Private sector employment increased by 135,000 jobs from August to September according to the September ADP Employment Report. This compares to 228,000 jobs in August (down 41 percent) and 217,000 jobs (down 38 percent) in September of 2016. This is in part due to Hurricane's Harvey and Irma which significantly impacted smaller retailers. The Redfin Housing Demand Index remained virtually flat, up slightly from 126 in July to 127 in August. Home prices nationally increased year over year by 6.9 percent from August 2016 to August 2017, and on a month-over-month basis, home prices increased by 0.9 percent in August 2017 compared with July 2017, according to the CoreLogic HPI. Confidence in the economy declined slightly to plus 4 in September, down from August's plus 6. While the ECI climbed past the plus 10 mark in January, September's score of plus 4 represents a continuation of economic attitudes that have held since May, apart from a brief increase in early August after the Dow hit 22,000. August construction spending rose 0.5 percent to $1.21 trillion after two months of declines, and was up 2.5 percent year-on-year. Hurricanes Harvey and Irma did not appear to have impacted the construction spending data, as the responses from the Texas and Florida areas affected by the storms were "not significantly lower than normal."